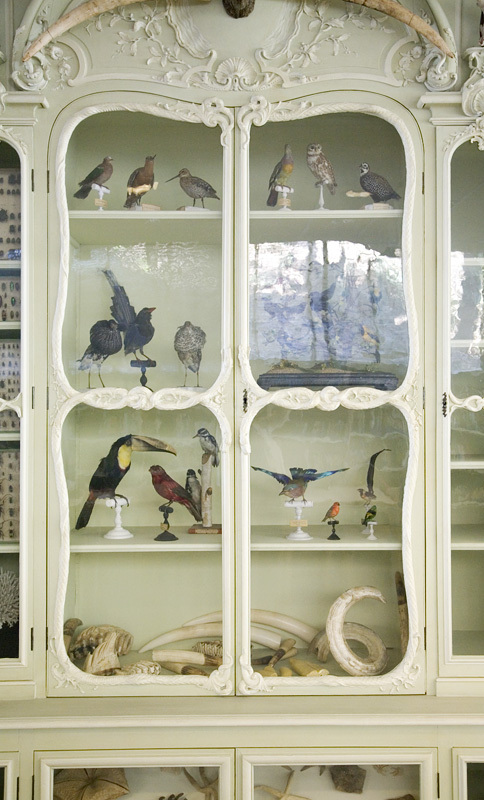 While in Paris a last week, I discovered, via a wonderful book called Musées Insolites de Paris, the lavish Cabinet of Curiosities of Bonnier de la Mosson, tucked into the back of a fluorescent-lit modern library attached to the Museum of Natural History in the Jardin des Plantes. Olalquiaga's is the only in-depth piece in English I have found on the collection, and I am still unsure if this cabinet I photographed in the bibliotèque is recreation, fragment, or a curator's fantasy of what the original might have looked like. If any of you French-enabled folk out there could translate the explanatory label for me (click here), I would be most appreciative, and will post an addendum to this post with the new information. For now, the images will have to do. You can see the full set of image I took by clicking here (and I urge you to do so--there is so much that is wonderful about this cabinet, but only so many images I can fit on this post). You can read Olalquiaga's article for Cabinet by clicking here. ADDENDUM: James G. Mundie, who you might remember from this recent post, has just posted a translation. The caption seems to imply the original cabinet was dismantled in 1935, then restored and 'definitively' reinstalled in the library in 1979. One presumes it was preserved relatively intact in the intervening decades. the cases seem to be original, so perhaps the object placement isn't that far off. I wish I had known this was there when I at the Jardin des Plantes last year. These wooden cases were acquired by Buffon in 1744 when they were auctioned off following the death of Bonnier de la Maison, an extremely knowledgeable amateur scientist and connoisseur of art. They were installed in the King's Garden Room. 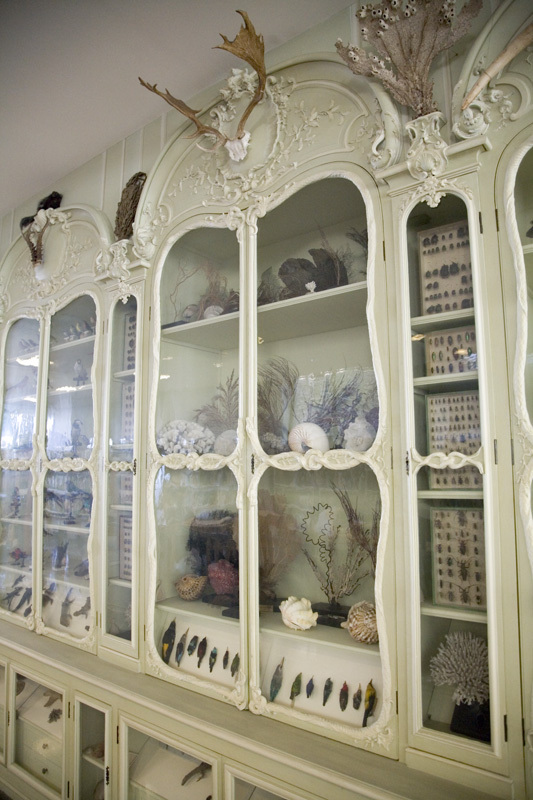 Inside these five units made from Dutch wood decorated with serpents a collection of preserved ["dried"] animals. Disassembled in 1935, they were installed permanently in the museum's central library in 1979. They are considered an "Historic Monument." Thanks, everyone, for their help! The caption seems to imply the original cabinet was dismantled in 1935, then restored and 'definitively' reinstalled in the library in 1979. One presumes in was preserved relatively intact in the intervening decades. the cases seem to be original, so perhaps the object placement isn't that far off. I wish I had known this was there when I at the Jardin des Plantes last year. What an amazing collection. Thank you for taking so many great photos. Thank you for taking me to this amazing place! wow! wow! wow! i NEED to go! now!